Include an under deck ceiling for an elevated or two-story deck and the world of outdoor living opens up more possibilities. Underdecking is a simple, efficient concept with big rewards, immediately establishing a whole new living area. Take it a step further with lighting, ceiling fans or screens and you’ll have a bright, dry, shaded, comfortable new outdoor room, just below your deck. Underdecking is a ‘rain carrying system’ made of vinyl ceiling panels to collect and safely take run-off water away from your outdoor living space. The vinyl panels are built for all-weather performance and are maintenance free. 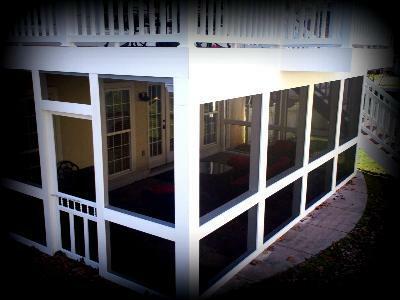 The panels can be used to cover a patio, screened room, or dry storage space. Underdecking is attractive, tucked neatly under your deck.. truly a ‘finishing touch’. Archadeck uses only branded under deck materials from approved and trusted vendors, ensuring the quality of the drainage system. TimberTech’s DrySpace underdecking is an example of an under deck drainage system that offers quality and aesthetics. So let Archadeck help you reclaim that valuable deck space under your deck. ‘Down under’ the deck will become both functional and attractive. 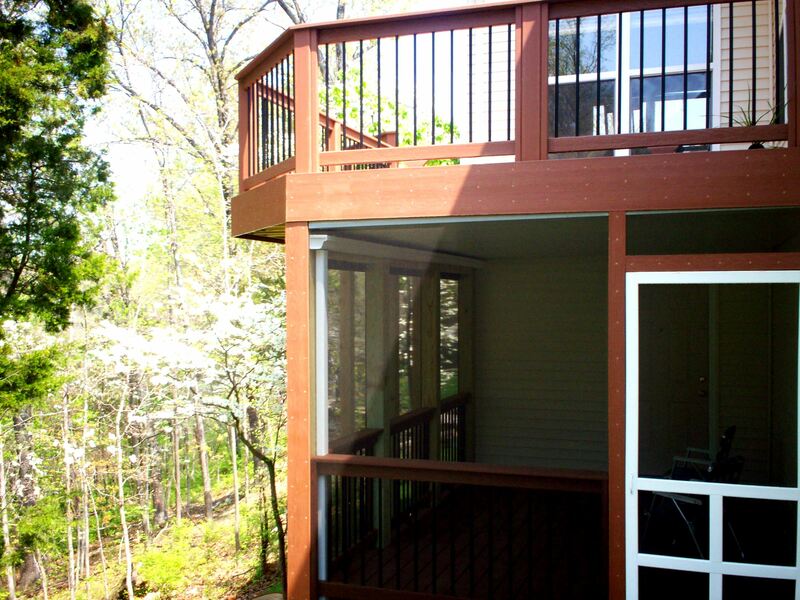 And a deck with underdecking is just one more example of ‘better building by design’ by Archadeck. 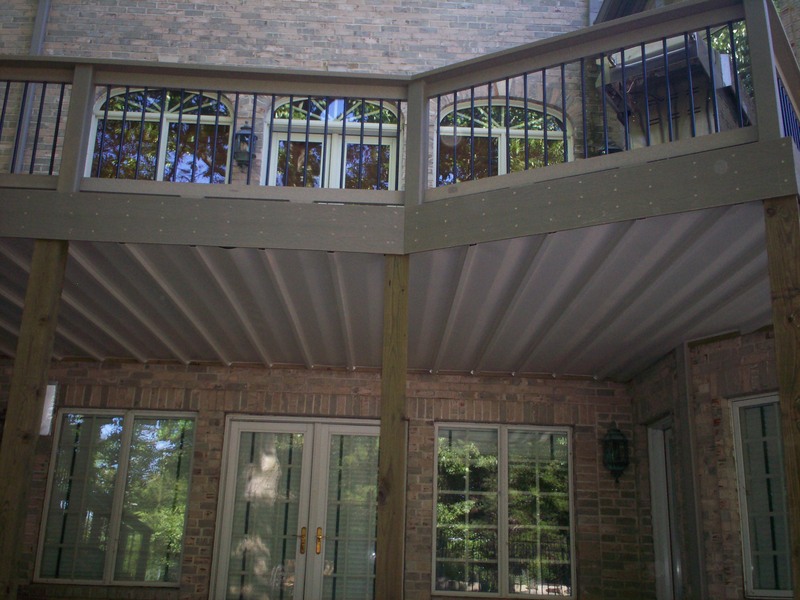 To see more pictures of decks and deck accessories, such as underdecking, visit our website, Archadeck of West County and St. Charles County. Archadeck designs and builds outdoor living spaces throughout St. Louis, St. Louis County, West County, St. Charles, St. Charles County and parts of Illinois.